Two years ago, when I started this blog, I started it with the intent of creating a journal for my family. 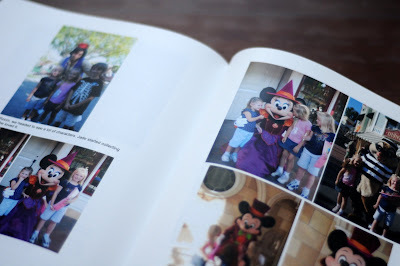 The first year, it was primarily pictures with a few words here and there. There were the occasional posts that were wordy, but there weren't many of them. The next year, I decided to share a little more about our family and our experiences. There were fewer posts the second year, but I shared more of us. This next year, the third year of my blog, will have more sharing about our lives, our trials, our lessons learned, our faith and our thoughts. It will be we for the first time. I don't know how often there will be posts that aren't by me, but there will be some. I'm so excited!!! While this journal has evolved, it is still my journal and now, I have a printed copy of the first year. 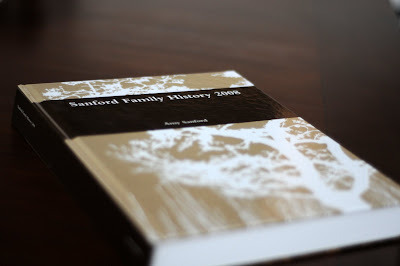 I am so excited to share with you the first edition of the Sanford Family History. I went through lulu.com. It was easy and fun to do. I copied my blog to a word document, where I was able to edit it and put it in chapters (or months). Once I was done, I went to lulu.com to determine the size of book I wanted and to get the recommended margins and paper size. Then I re sized my document and made sure chapters started at the top of a page and that as many pictures could fit on a page as possible. After saving it I uploaded it to lulu and picked out the cover and published it. The only negative I have to say about my lulu.com experience is that their cover options weren't fantastic. Why did I go with Lulu.com? 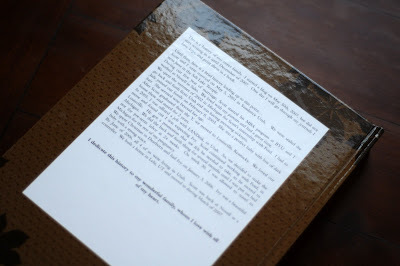 I tried Blog2Print and Blurb but ran into problems with each. Blog2Print can only do a limited number of pages- not 505. That meant I'd have to do 2 books for the first year. For Blurb, I didn't like the formatting. But I have since learned that they can take a pdf that you have formatted the way you want it and create a book that way. Since I haven't tried that way, I can't speak for or against it. But, Lulu.com was super easy and I only got frustrated when I couldn't get the margins perfect in word. Oh, by the way, a 505 page book will run you about $115. Worth it? for my kids to have a full color hard back book of their childhood- ABSOLUTELY. I can't wait to get 2009 started. 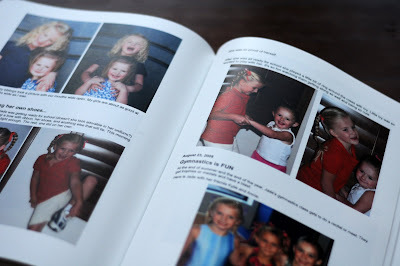 You are right, this book will be an incredible keepsake for the girls. You gave me yet another thing I want to do someday. Stop having so many great ideas....laugh!! Awesome! I am totally inspired to do that now. The thing holding me back? Time. ***How long did it take to you to compile that book, by chance?